~ Learn how to love your body by doing the Body Blessing Prayer and show yourself the love you deserve. In the video on this page, I am going to teach you the healing power of meditation by teaching you a moving meditation for your body. This is what I call a "Body Blessing Prayer." It is to help you reconnect with your body and open your communication with it to heal your negative self-image and help you learn to love it as well. We are all victims of beliefs about our bodies that are not always healing. Our cultures teach us that without a perfect body, we are nothing. Everywhere we look the human body is made up, airbrushed and transposed to make perfect visions of what we believe is the perfect body form. As a result of our cultural brainwash we do not know how to trust our bodies or believe in our bodies to bring us joy and peace. All we see is its imperfections. We do not love our body. Your body may even bring you pain through illness, injury and dis-ease. You may be the victim of physical and/or sexual abuse and your body may carry shame, guilt and scars that cannot be healed until you learn to love your body and therefore learn to love yourself to the fullest. This body blessing prayer is to help you find oneness with your body. It is a way to love your body and bless it and therefore love yourself. 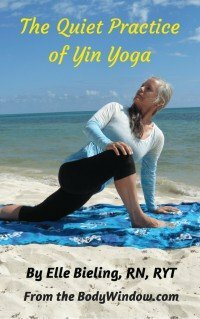 It is a moving meditation for you to thank your body for its gifts and messages, bless your body and ask that its messages be revealed to you. Your body is the physical manifestation of your soul, your temple. You may repeat the motions in the body blessing prayer as many times as you need to open yourself to your body and love your body fully, with all its scars, cellulite, wrinkles and imperfections. Starting in the Hero Pose, open your hands with your palms upward, representing your openness to receive Love and blessings from above. As you breathe in deeply, slowly bring your open palms up toward your shoulders. As you move your arms upward, scooping up Divine Love, you will bring your open palms towards yourself, touching yourself lightly on the shoulder to symbolize your receiving and excepting Love from the Universal Source. Slowly lower your arms again as you exhale and bow your head. Repeat as often as needed to feel the blessing and to love your body! For fully guided, body meditations, see my Body Meditation Videos, an in-depth look at simple yoga movements for healing your body-mind-soul.